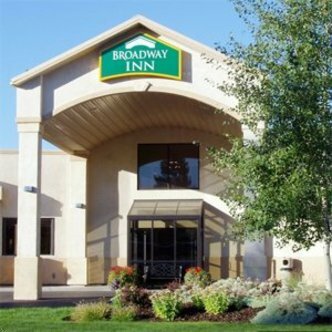 Conveniently located in the heart of Missoula, 5 minutes from the Missoula International Airport is the Broadway Inn and Conference Center. The Broadway Inn is less than 3 miles from the University of Montana, and a quick drive to the downtown shopping district, the Reserve Street Shopping corridor, and Southgate Mall. PETS ARE WELCOME IN SPECIFIC ROOMS ONLY - PLEASE INDICATE IF YOU TRAVELING WITH A PET ON RESERVATION.